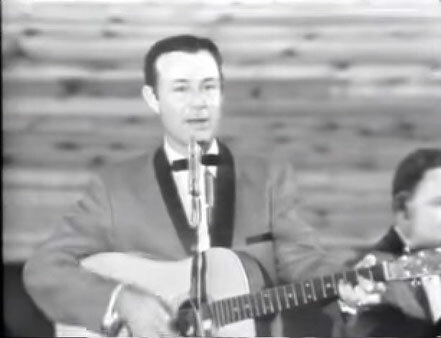 Jim Reeves performs "Yonder Comes A Sucker"
Jim Reeves Jr performs "Yonder Comes A Sucker"
«Yonder Comes a Sucker» is an American country and western song written by Jim Reeves. 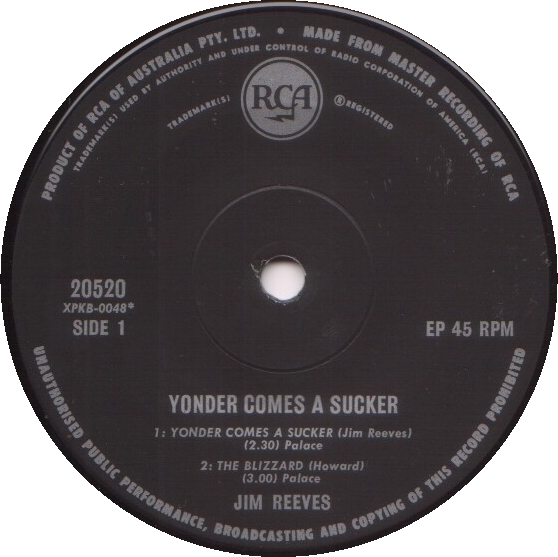 It was Reeves' first single release for RCA Victor and was released on the single RCA Victor 47-6200 in 1955. And I bid her my last fairwell. She whispered mother please tell him, no! There are plenty more, who'll think so too.